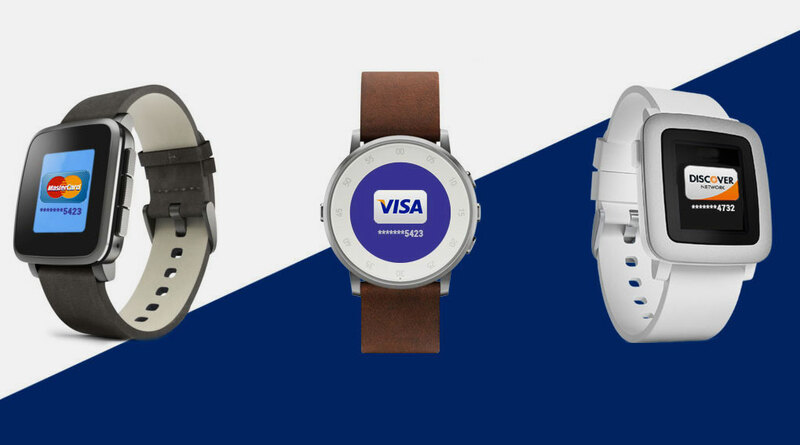 The Pebble Time is getting a new feature in the form of a contactless payment Smartstrap called the Pagaré. The watchband takes advantage of Pebble's smart accessory port to create a hardware extension that adds extra functionality to the device. The Pagaré features an NFC chip with card network tokenization that makes it work similar to other smartwatches with contactless payment features like Apple Pay on the Apple Watch or Android Pay on Android Wear devices. The main difference being that the technology is in the strap, not the Pebble Time watch itself. In March, Pebble announced its dedication to wearable tech advancements by investing a portion of its Kickstarter earnings back into the crowdfunding industry to "encourage the development and commercialisation of Smartstrap projects." The Pagaré Smartstrap is one of those projects. The watchband's developer, FitPay, will launch a Kickstarter campaign in January of 2016 and Pebble CEO Eric Migicovsky is on board. "The Pagaré contactless payment Smartstrap is bringing a game-changing new feature to the Pebble Time family of products," he said. "This is the exact type of robust, new capability that we envisioned the open platform for smartstraps would create for Pebble." From early renditions, it seems that there will be three different colour options, black, brown, or white, possibly based on stretch goals. We'll find out more as the Pagaré gets closer to its official crowdfunding launch.